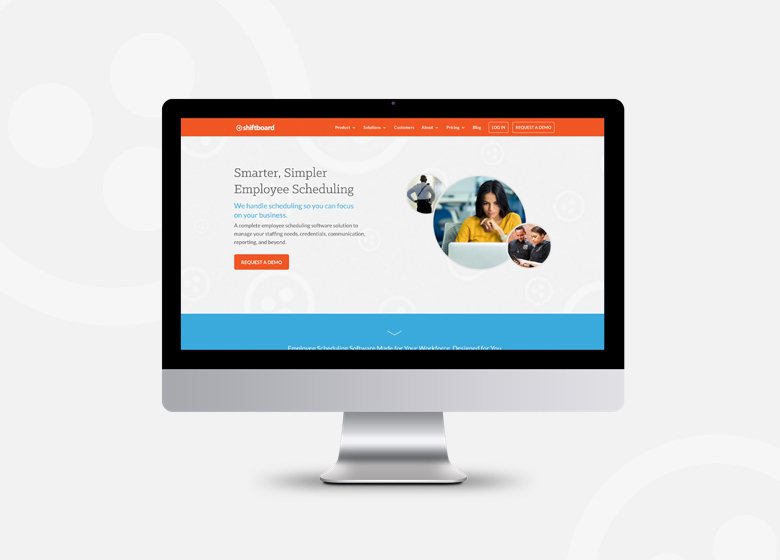 Shiftboard is a Seattle-based SAAS startup serving a wide range of industries as a top provider for employee scheduling and management software. 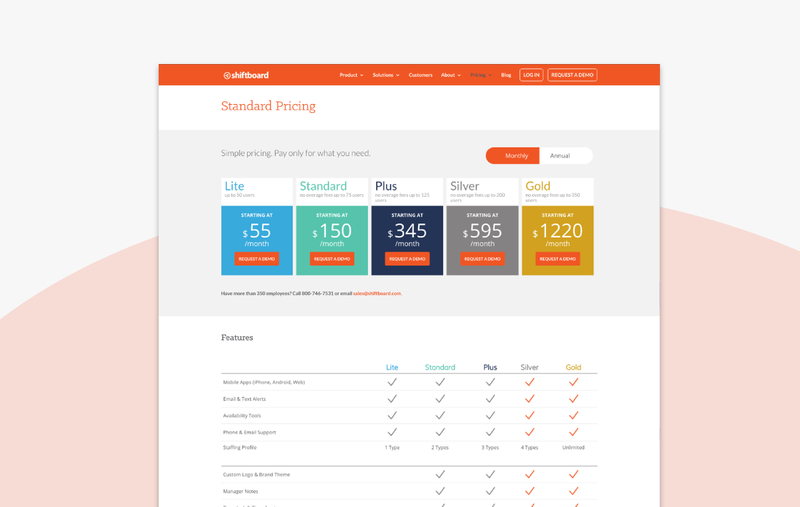 Shiftboard needed to revamp their image to stand out from competitors. 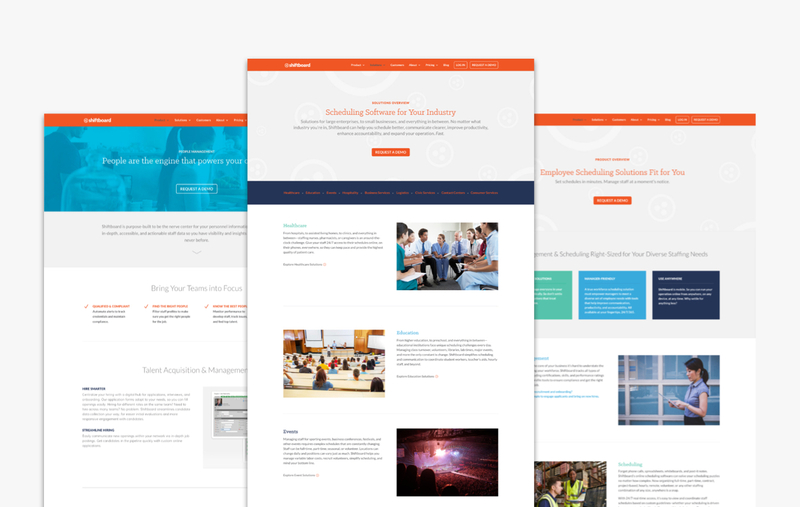 Time was of the essence, so we made simple tweaks to their visual identity and completely revamped their website, making it more responsive, functional and attractive to prospects. 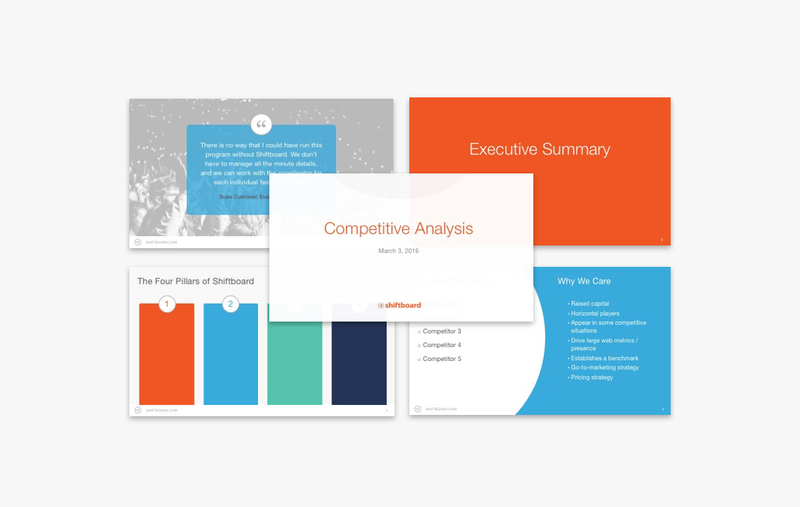 We worked with their in-house marketing team to maintain their SEO and clarify content. 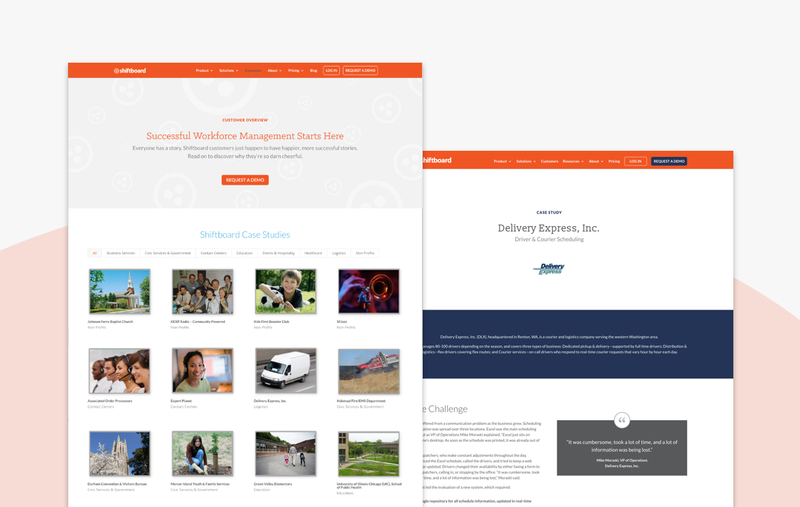 To flesh out their image, we extended their identity to include photo treatments, a bold color palette, custom icons, page layouts and type treatments for their responsive website and PowerPoint presentation templates. Not wanting to noticeably transform their image, which was growing in recognition, we made minor alterations to their logo's letter spacing to improve its readability and polish, and toned down their very orange primary color to a more palatable reddish orange.